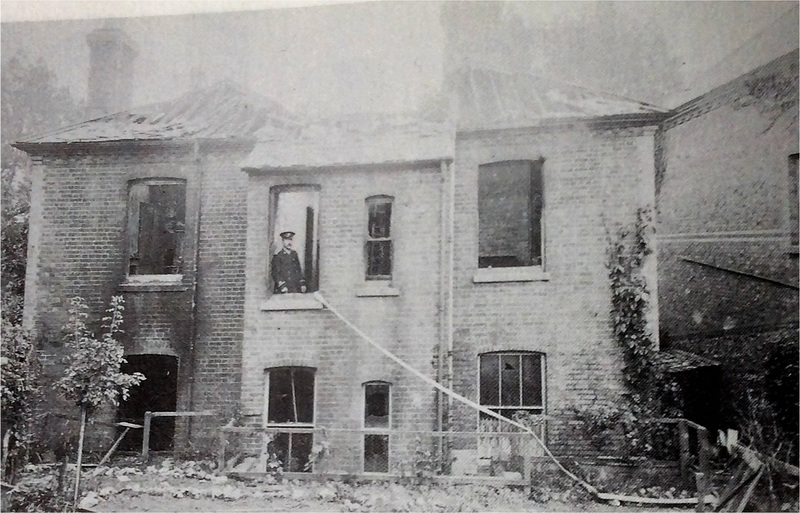 On 12th September 1912, at 3am, the Manse (no 55 Grange Road) caught fire. According to the Sussex Express, the occupant, the Rev Granville Ramage and his family were woken by three loud explosions. They were only just able to escape, ‘partially attired’, down a ladder from the back window before the flames took hold. Despite the fire engine, the Lewes steamer, arriving within 10 minutes, it took over three hours to get the fire under control. The interior picture shows considerable damage was done. The cost was estimated at ‘not less than £1,200’. There was an exciting incident when Fireman Gearing and two policemen tried to help by bringing a mobile fire escape ladder down from the High Street via Station St. It shot down the hill barely under control and only missed crashing into the New Station Inn at the corner of Lansdowne Place because they swung their combined weight onto it to get round the corner. On 18th May 1951 Princess Elizabeth visited Lewes as part of a trip around East Sussex. She drove along Grange Road from the Town Hall on her way to plant a tulip tree in the Grange Gardens. Residents remember waving Union Jacks as she came past. It was the first Royal visit for over a century. 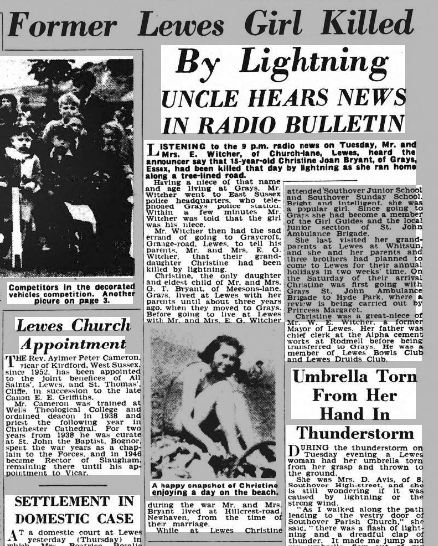 One ex-resident remembers a girl who used to live on Grange Road being killed by a lightning strike in Grays, Essex. It was probably sometime between the late 1940s and early 1950s . We have since found this sad incident reported in the Sussex Express of Friday 9 July 1954 (page 1, columns 8 and 9). Other ex-residents have wartime memories of a gun carriage running away down the hill from Rotten Row and demolishing the garden walls of the cottages then in St Pancras Gardens. Also, a Bren gun carrier knocked down a lamppost on Grange Road. 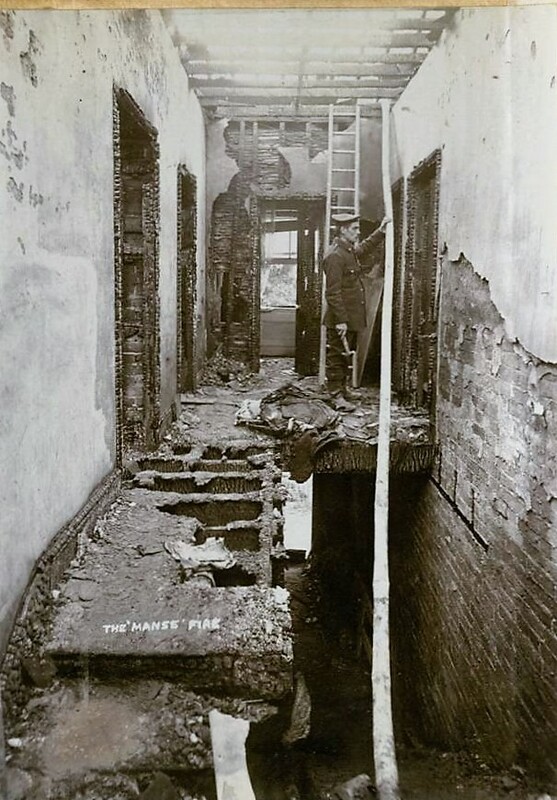 The Interior picture of the interior of the manse after the fire is reproduced with the permission of the County Archivist of East Sussex. The original is held at The Keep.